It's easy to get started. Simply give us a call or stop by and we will show you how awesome our program is and how affordable the cost is. We work with you!! We have a great starting program! 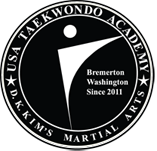 USA Taekwondo Academy in Bremerton is like one big happy family and we welcome you to join us today!